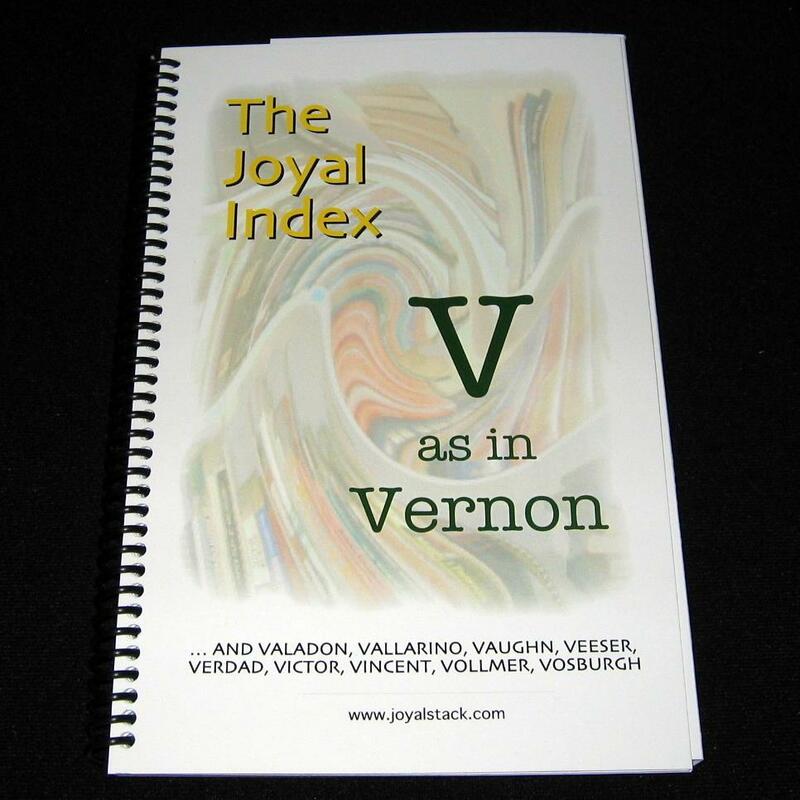 You can’t remember where THAT card trick is… It was a Cutting the Aces effect and you’re sure it was in one of the Vernon books. 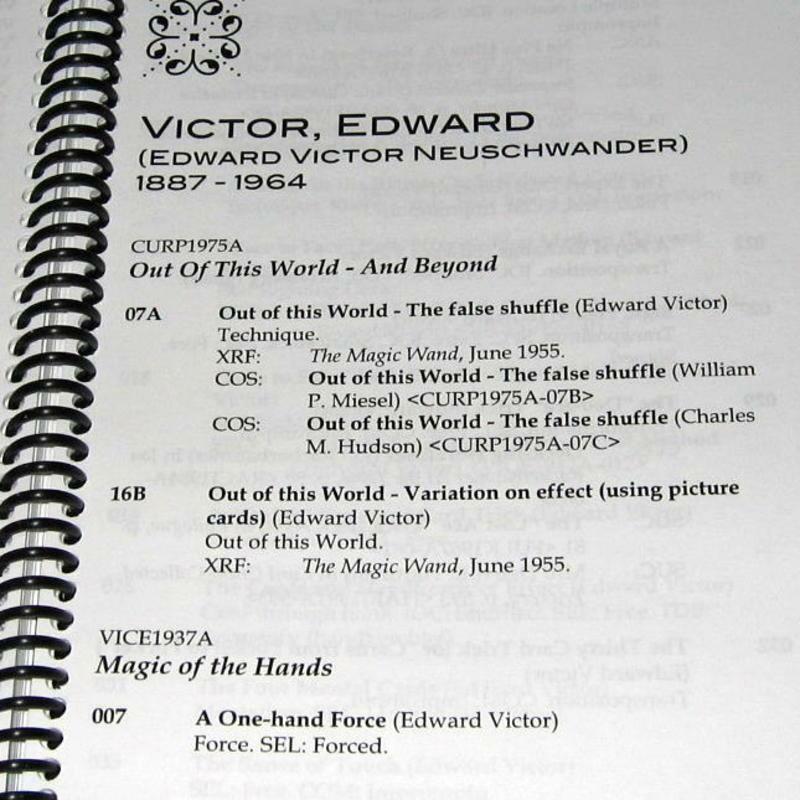 But which one? 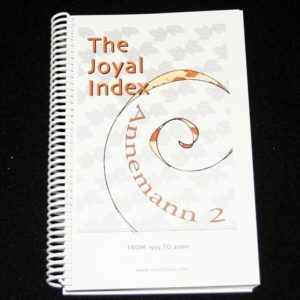 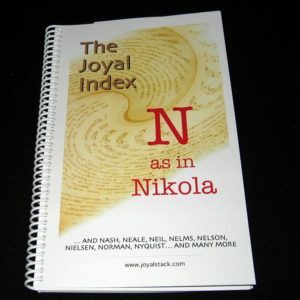 The Joyal Index has the answer! 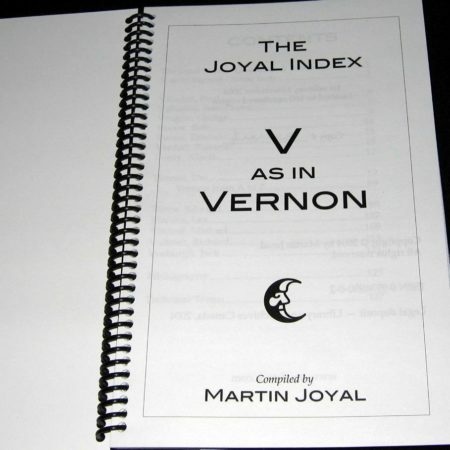 For over a decade, author and magician Martin Joyal has researched and catalogued card effects in hundreds of magic books written between 1584 and 2000-organizing the content by source, title, creator, effect, type of deck, special cards, accessories, etc. V as in Vernon is the first volume of a massive index of card magic. This premiere volume includes 555 items and nearly 300 cross-references, indexed from more than 80 books. 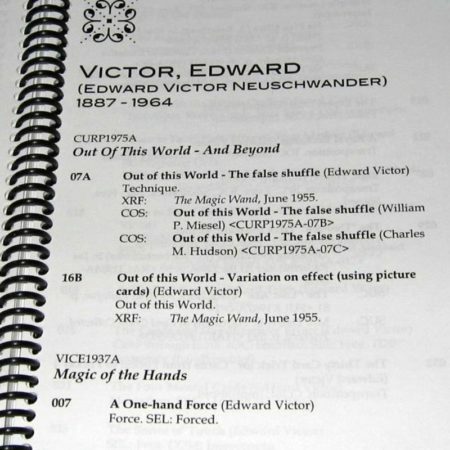 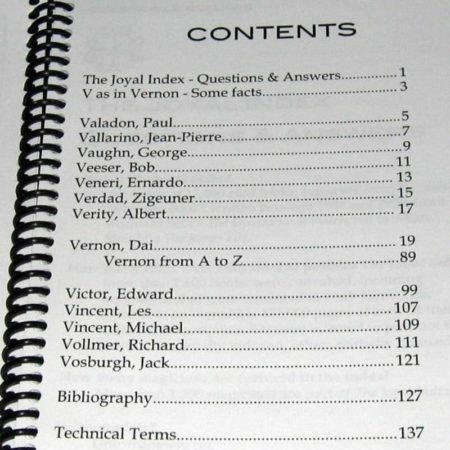 Within these pages, you will find items related to the card magic of Paul Valadon, Jean-Pierre Vallarino, George Vaughn, Bob Veeser, Zigeuner Verdad, Dai Vernon, Edward Victor, Les Vincent, Michael Vincent, Richard Vollmer, and Jack Vosburgh. 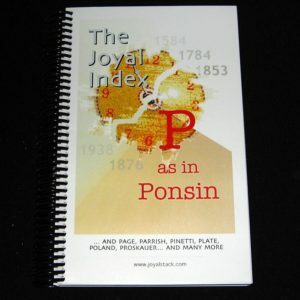 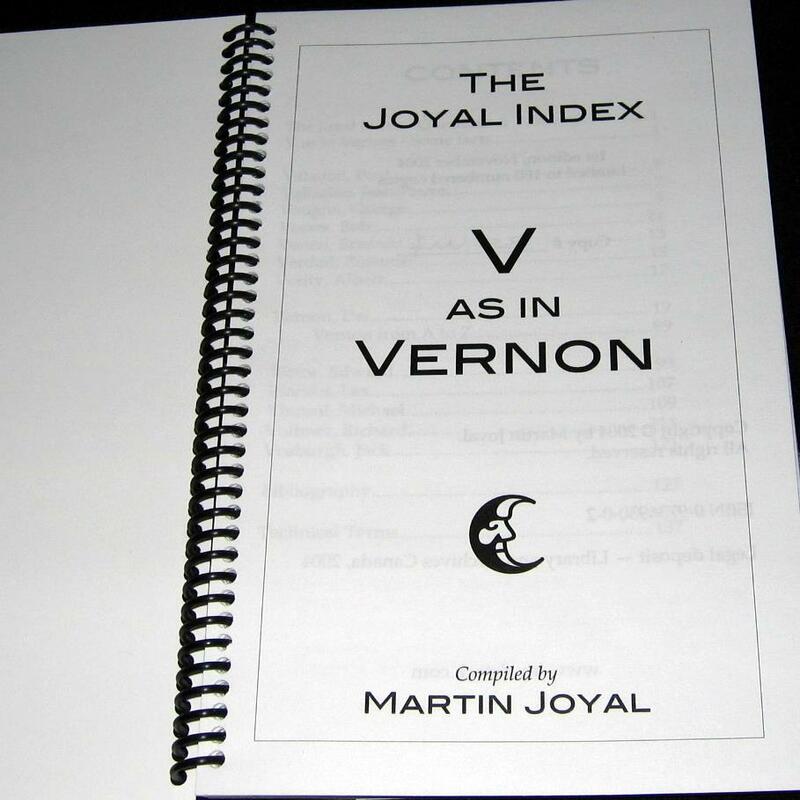 The Joyal Index: V as in Vernon is an essential reference work for performing magicians expanding and refining their repertoires, writers and historians tracking down accurate credits, or any magic enthusiast who is trying to remember the name and origin of THAT trick!